Last Updated: February 23, 2016 | Subscribe to our weekly newsletter! There is nothing quite as gross as jumping into a pool only to feel the slimy body of a dead worm glide across your back. Keeping worms out of your pool can be a difficult task, but with a little bit of work you can minimize and sometimes eliminate them from your pool. I know what you’re thinking. Why can’t I get rid of them completely? Unfortunately, there are no easy solutions to worm infestations, but by simply taking a few precautions, you can greatly reduce the amount of worms in your pool and sometimes stop them from ever entering your pool again. Sure, they are a little gross to look at, but they do serve a very important purpose. If you like your landscaping, you definitely want to make sure they are around. Worms naturally till and fertilize the soil helping your plants grow and look their best. If you get rid of the worms in your soil, then you will find that you have a lot more work ahead of you with your landscaping, I promise you that. Most of the time you won’t have to worry about worms taking a dive into your pool, as they prefer to stay buried in the ground chewing away at the soil, minding their own business and just doing their thing. 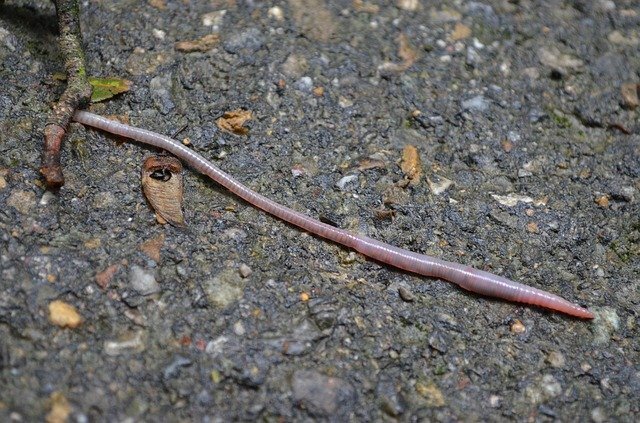 However, in the spring and even the fall when it gets a little cooler outside or during heavy rains, the worms tend to come out and have a look around. You know what I mean. We have all seen worms squirming their way across the pavement of our sidewalks and driveways. The moisture and cool air drives them to the surface to take a look around and if you happen to have landscaping around your pool, they will often make their way from underground to your pool’s deck. Once they have done that they don’t seem to have the best sense of direction, and they can often simply fall into your pool. Once they fall in, they are trapped and can’t get out. No matter how good they may be for your soil, they are pretty gross if you have to try to fish them out of your pool or dig them out of your skimmer. So what can you do about it? Unfortunately, there is no one size fits all fix that will take care of them, and you may never be able to totally eliminate the problem. Still, you aren’t left without options. Let’s take a look at a few strategies you can use to reduce or eliminate your pool worm problem once and for all. Pool covers aren’t always the most convenient to put on or take off, but if you have a big worm problem they will do the trick. A pool cover If you click this link and make a purchase, we earn a commission at no additional cost to you. will prevent those slimy little worms from crawling into your water and filling up your filter. Of course, you will have to put it on and take it off in order for it to work, and that isn’t all that convenient. Try only using this solution when it is cooler or if you are expecting heavy rains. Look for covers that are quick and easy to take on and off so you can quickly cover it and then uncover it when you are ready to use your pool. I know this isn’t always possible, after all we all work. However, if you can, after the storm has passed go ahead and give your pool’s deck a quick check and a cleaning If you click this link and make a purchase, we earn a commission at no additional cost to you. if need be. If you can get to it soon enough after the heavy rains, you may be able to catch those worms before they have had a chance to reach your pool and maybe before they get cooked by the sun. Pick them up and move them to the grass so they can go about their business of, well, being worms. Who doesn’t love great looking landscaping around the pool area. In many ways it really completes your pool in ways that cannot be replicated by concrete and decorations. Still, with plants, comes soil. That means that there will be worms, there is just no way around it. If possible, you could try moving your landscaping approximately 20 feet or more away from your pool. This will increase the distance any worms that come out have to travel meaning fewer will make it before they are cooked by the sun. Does the concrete of your deck meet the dirt of your landscaping or the grass of your yard evenly? If so you may want to consider altering the design, at least a little bit. Instead of keeping it even, elevate it a little, if possible. Even a slightly higher concrete pool deck can’t stop those worms from reaching your pool because it is very difficult for these worms to traverse that small incline. Some will inevitably manage to make it, despite the odds, so don’t expect this solution to put a stop to it. 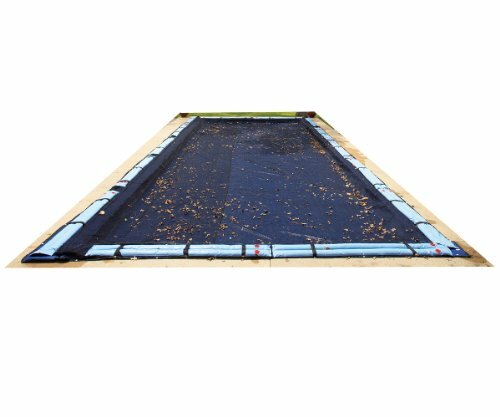 But it will reduce the number of worms that reach your pool meaning you will have less to skim out of the water If you click this link and make a purchase, we earn a commission at no additional cost to you. . 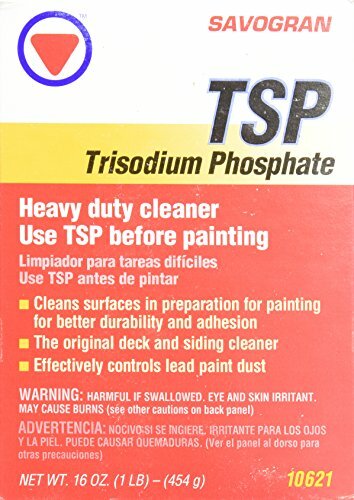 Try adding a little crushed limestone If you click this link and make a purchase, we earn a commission at no additional cost to you. around the perimeter of your pool’s concrete. You can even add it just on top of the soil where the concrete meets the ground. This crushed limestone will raise the pH of the soil around your pool, something the worms really don’t like. When they come out, they will actually head the opposite way of your pool. 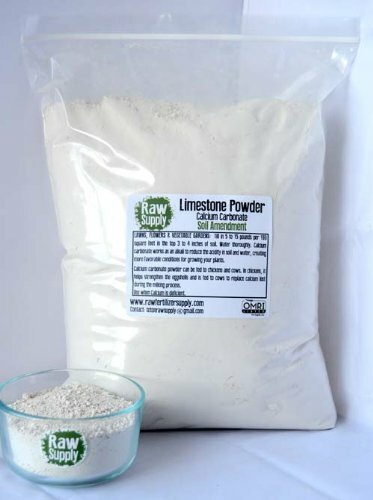 Be careful, however, if you get heavy rains this crushed limestone could get washed into your pool affecting your water chemistry and even coating your filter in the process. If you do choose this method, make sure you test your water regularly to make sure it stays in perfect balance. I want to start off by saying that I don’t recommend this, but I will talk about it just so you understand that there is another option. If bugs and worms are a problem, and you have tried everything and just don’t know what else to do, you could always try an insecticide. Spray the landscaping and grassy areas around your pool. 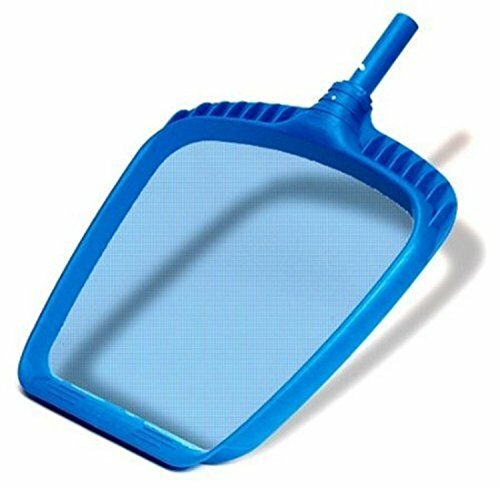 This will kill any insects present in that area and discourage others from going there. Now, I only think you should do this if it is a major problem and you have tried everything else, as it will also kill the insects that are very beneficial to your ground and plants. Worms in your pool won’t really hurt your pool, it’s just kind of gross, especially if you jump in and get one running down your back. There is no set cure for worms in your pool, however there are many options for you to try to reduce or eliminate your worm problem once and for all. Experiment with the different solutions and maybe even use a combination of more than one for the best results. If worms are a problem in your pool, what do you have to lose?